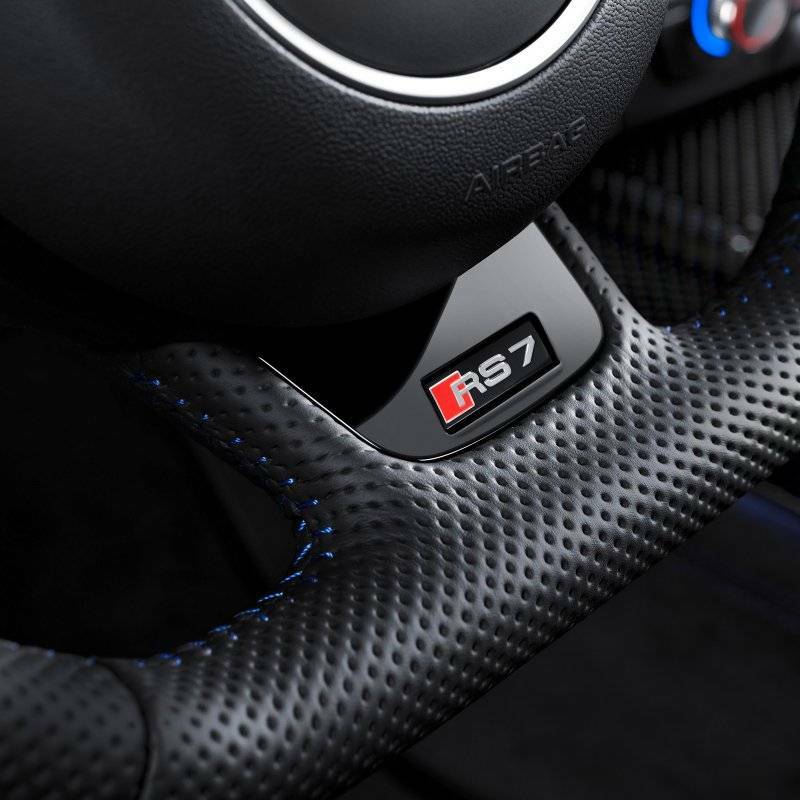 A thicker and more contoured flat-bottom steering wheel wrapped fully in air leather with grey or blue stitching with extended shift paddles. 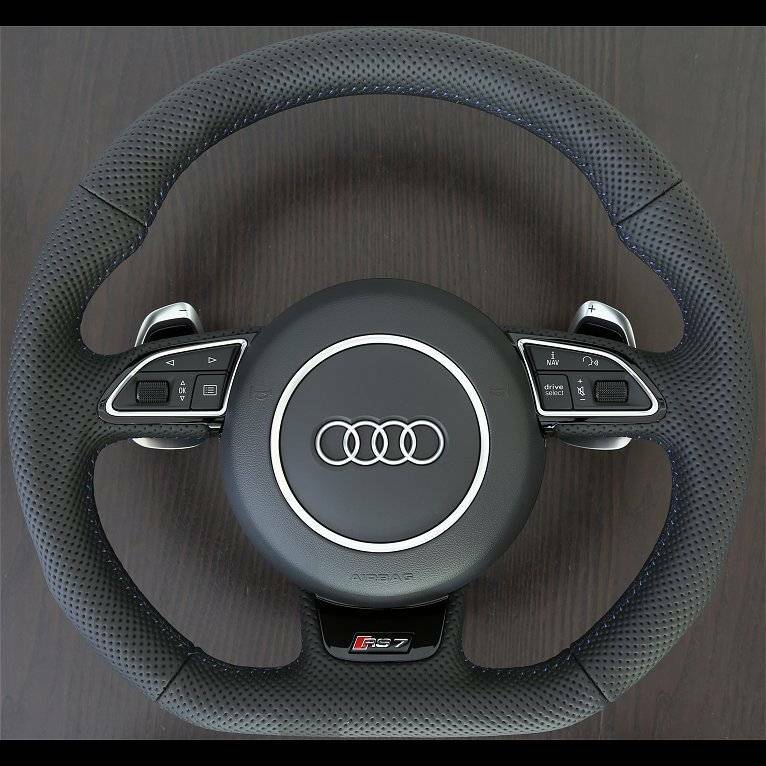 This steering wheel features a Drive Select button on the right hand control which allows for hands on control of the drive select functions without using the MMI. The steering wheel badge can be replaced with any available to match your specific application, inquire for details. *Note that the Drive Select button will function with post-facelift models, however only those with a 2016+ instrument cluster will display the Drive Select mode on the DIS.